We offer the best taxi service from and to Groningen. Creditcard payment accepted (VISA / Mastercard), just ask us when you make a reservation. If you are looking for a Taxi in Groningen then you are at the right place. Taxi Groningen has excellent skilled and reliable taxi drivers at competitive rates, 24 hours a day, 7 days a week. Service, hospitality and punctuality are our top priorities. The Taxi Groningen drivers are very experienced in the region Groningen. Also for group transport, Schiphol taxi and business class transport, we are at your service. The luxury taxi’s of Taxi Groningen You can find at the taxi ranks as the Central Station Groningen, the University Medical Center Groningen in Groningen, or under the Martini tower at the Grote Markt (Big Square) in Groningen. We mainly ride pre ordered taxi rides and often over long distances. If you want to order a taxi right now please call us +31 (0) 50-541 8452. Taxi Groningen offers more than a regular taxi! 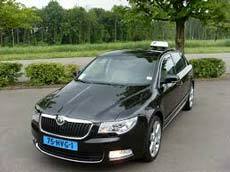 When you reserve a taxi at Taxi Groningen you are guaranteed a comfortable and luxurious taxi at an attractive rate. The taxis we use are recently built and equipped with amenities such as navigation, air conditioning, extra legroom, leather seats and so on. The drivers of Taxi Groningen are trained to ride as comfortable as possible to transport your destination here and do their best for. They follow regular training so they can do their jobs better. If you want to make direct contact with us please call us by phone at 050-541 8452. Of course, you can submit your question by e-mail or us the form on our contact page. You can call 24/7 and we endeavor answering email on working days within two hours.